One Hot Lap: 10 Best Things About Kimi's New Steering Wheel! 5. Cold / Very Cold / Ice Cold - this one will be permanently set to 11! 4. Mute button - to use after the third time you tell the engineer that you know what you're doing! 2. Sat Nav - so you can find your way back to the track after you go off. 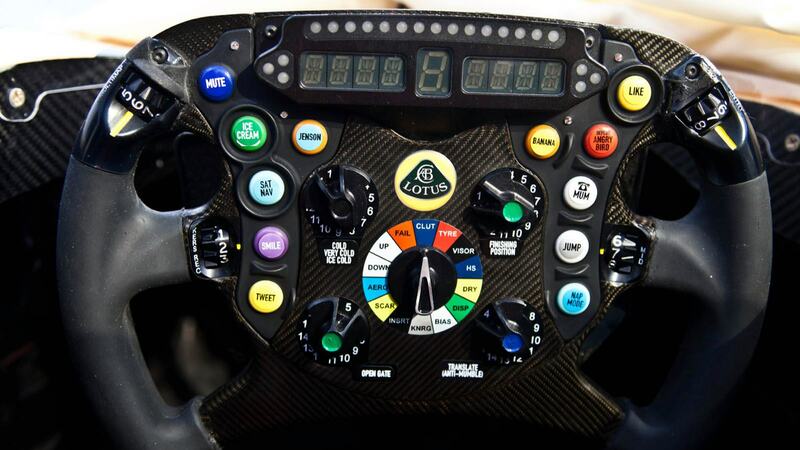 On a related note, Lotus could have used THIS steering wheel for their crashaholic driver Romain Grosjean! Good eyes, thanks for the correction!. Updating the post with it.